Sharon King, 68, of Fremont, died Tuesday, April 9, 2019, at her residence. Arrangements are pending at Engle-Shook Funeral Home & Crematory, Bettsville. Mary Jo Brickner, 85, of Tiffin, died Tuesday, April 9, 2019, at Mercy Health - Tiffin Hospital. Arrangements are pending at Traunero Funeral Home and Crematory, Tiffin. Steven Glenn Tyree, 71, of Tiffin, died Tuesday, April 9, 2019, at his residence. Arrangements are pending at Engle-Shook Funeral Home & Crematory, Tiffin. Michelle M. Burns, 49, of Tiffin, died Saturday, April 6, 2019, at her residence. Arrangements are pending at Engle-Shook Funeral Home & Crematory, Tiffin. The Rev. Ron D. Fruth, 77, of Tiffin, died Monday, April 8, 2019, at Seneca House, Tiffin. Arrangements are pending with Hoffmann-Gottfried-Mack Funeral Home & Crematory, Tiffin. Dennis Steven Keckler, 66, of Fostoria, died Monday, April 8, 2019. 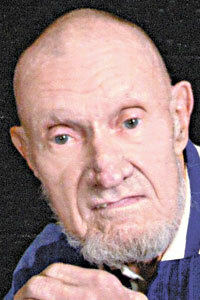 Arrangements are pending at Mann-Hare-Hoening Funeral Home, 407 N. Countyline St., Fostoria. 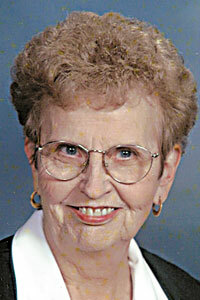 Calena Roberta Cook, 94, formerly of Dayton, died Sunday, April 7, 2019, at St. Francis Home, Tiffin. Arrangements are pending at Traunero Funeral Home and Crematory, Tiffin. Raymond “Ray” J. Dell, 100, of Fostoria, died Sunday, April 7, 2019, in Fostoria. Arrangements are pending at Hoening & Son Funeral Home, Fostoria. Carl W. Haase, 86, of Fostoria, died Saturday, April 6, 2019, at his home. Arrangements are pending at Hoening & Son Funeral Home, 133 W. Tiffin St., Fostoria. 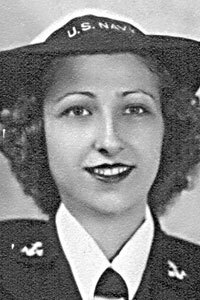 Dorothy M. Kuhn, 95, of Tiffin, died Sunday, April 7, 2019, at St. Francis Home, Tiffin. Arrangements are pending with Hoffmann-Gottfried-Mack Funeral Home & Crematory, Tiffin.